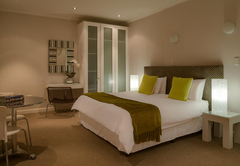 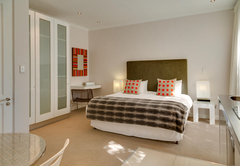 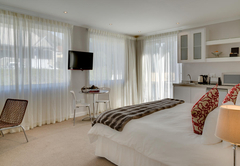 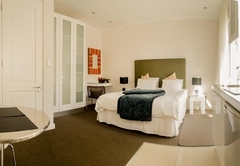 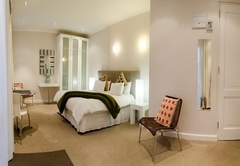 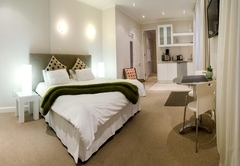 Oxford House is a property providing self catering in Green Point for tourists visiting the Atlantic Seaboard region. 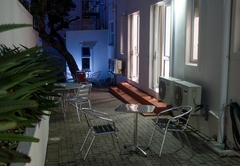 Oxford House consists of a number of self catering apartments in the popular area of Green Point. 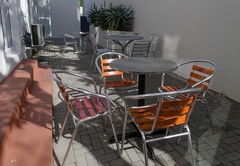 The property is situated adjacent to the V&A Waterfront with its offering of many restaurants and shops. 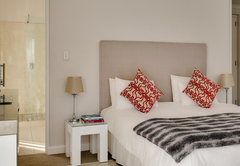 From this ideal location you are within easy reach of many of Cape Town’s attractions and close to major transport routes. 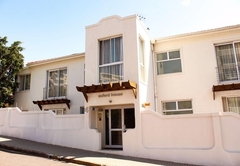 Each apartment has a king size bed, a table with two chairs, kitchenette with microwave, kettle, toaster and bar fridge, flat screen TV with satellite, wireless internet, air conditioning and good security. 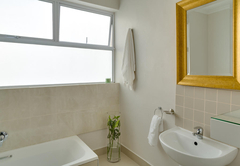 All apartments have an en-suite bathroom, the Deluxe Rooms 1, 6, 9 and 10 have a full bathroom with a bath and a shower, while the Standard Rooms 2, 3, 4, 5, 7, 8, 11 and 12 have a shower only. 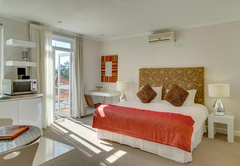 These apartment have a king size bed, a table with 2 chairs, kitchenette with microwave, kettle, toaster and bar fridge, a luxurious en suite bathroom, flat screen tv with satellite, wireless internet, air-conditioning and full bathroom -bath and shower. 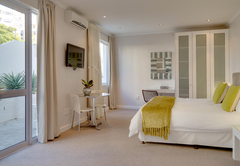 Each apartment has a king size bed, a table with 2 chairs, kitchenette with microwave, kettle, toaster and bar fridge, a luxurious en suite bathroom, flat screen tv with satellite, wireless internet, air-conditioning and shower only. 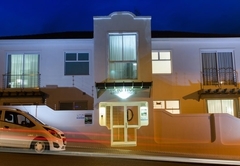 Response timeOxford House typically responds to requests in 5-10 minutes.